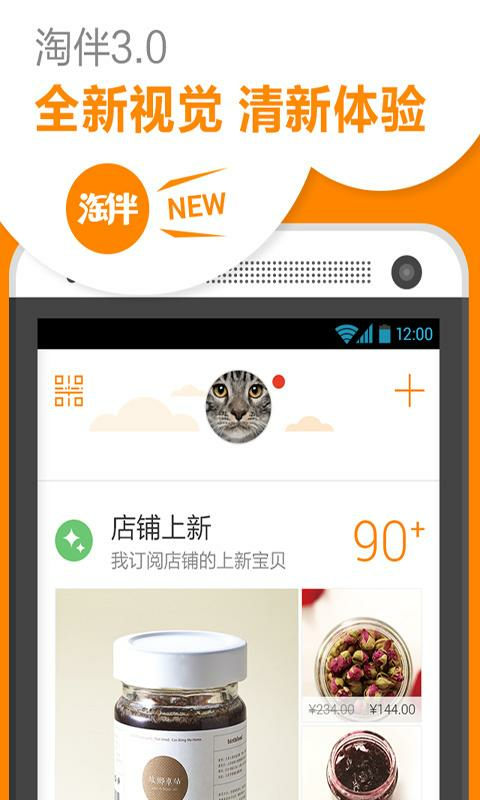 Taobao Amoy with the official launch of the client. 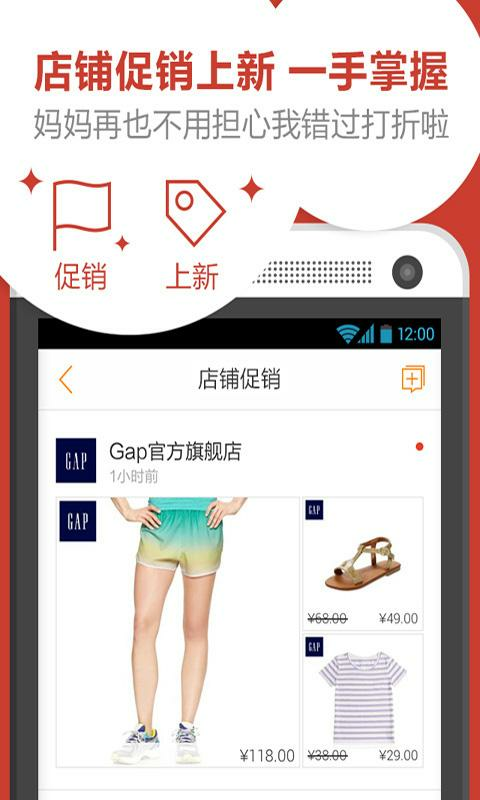 Users can viewanywhere like shop promotion, a new, first time to grab theshopping cart, favorites price baby, you can also Amoy gold collarevery day. 6 Baby Dynamic: User Favorites Cart Baby promotion, ready tosee. （首次下載登錄就送80淘金幣）淘伴是淘寶網官方推出的用戶端。用戶可以隨時隨地查看喜歡店鋪的促銷、上新，第一時間搶購物車、我的最愛降價寶貝，還可以每天領淘金幣。1. 促銷上新：關注你喜歡的店鋪，第一時間搶折扣，逛新品（支持收藏店鋪和已購店鋪的關注）；2.物流：隨時查看已買到寶貝的物流狀態；3.發現好店：按照用戶的喜好，推薦好店；4.我的淘寶：用戶可以通過淘伴管理已買到寶貝、購物車、我的最愛等；5.領金幣和搖（抽）金幣：除了每天領取金幣外，還可以通過抽獎的方式，得到額外的金幣；6.寶貝動態：用戶我的最愛購物車寶貝的促銷，隨時看。(Login first downloadsend 80 Amoy gold)Taobao Amoy with the official launch of the client. Users can viewanywhere like shop promotion, a new, first time to grab theshopping cart, favorites price baby, you can also Amoy gold collarevery day.1 New Promotions on: Follow your favorite shop, the first time tograb discounts, visiting new (to support collection of shops andstores have been purchased concern);(2) Logistics: always check the baby has to buy a logisticsstate;3 found a good shop: In accordance with the user's preferences,recommend a good shop;4 My Taobao: Users can manage to buy Amoy with baby, shopping cart,favorites, etc. ;5 gold collar and shake (pumping) Gold: In addition to dailycollect gold coins, you can also draw the way through, get extracoins;6 Baby Dynamic: User Favorites Cart Baby promotion, ready tosee. 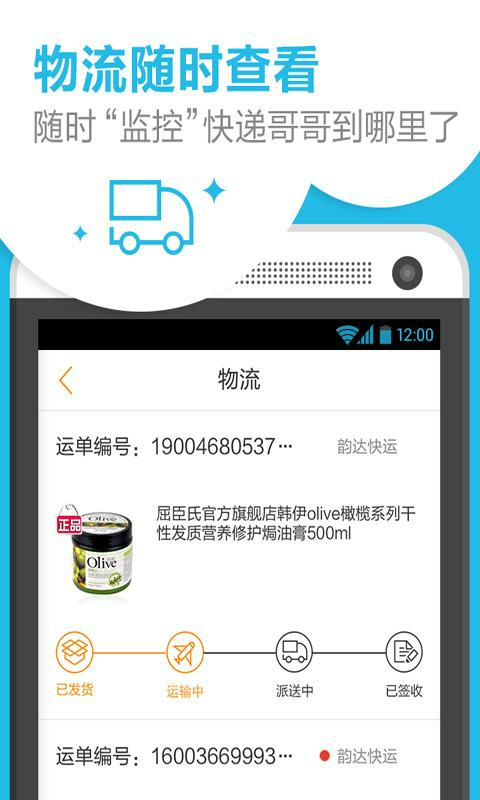 淘宝百货，提供商品搜索、浏览、购买、收藏等功能，为手机用户打造更加方便快捷的移动生活。打开淘宝百货，就能第一时间看到最热门的商品，最火爆的促销信息，用手机抢购，让您更快一步！Taobao Stores providesearch, browse, purchase, collection and other functions, formobile phone users to create a more convenient and efficient mobilelife. 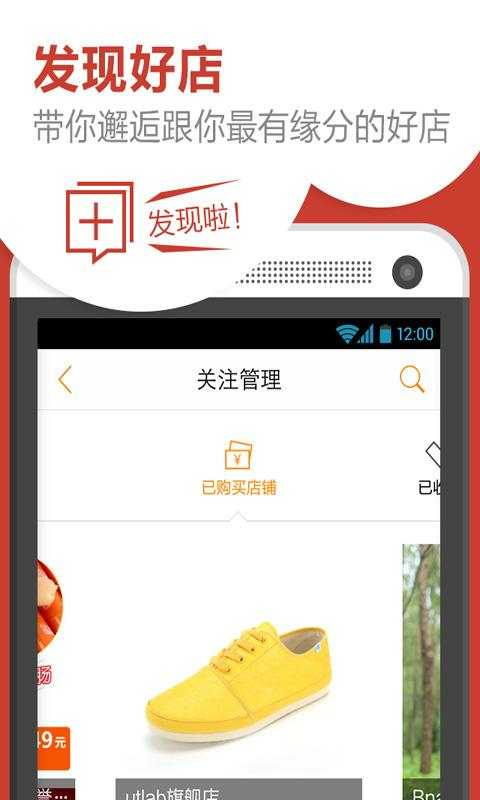 Open Taobao department store, you can see the first time themost popular commodity, the most popular promotional information,phone snapped step faster!